Our platform is a partnership with Vendors. As with any successful partnership, we provide Vendors a platform to scale and grow their business. MYFITAPE has an 80/20 structure, which means Vendors receive 80% commission. With the remaining 20% for MYFITAPE for transaction fees, merchant fees, conversion rates and platform maintenance. However, we have a different setup depending on whether you’re an organization or freelancer. 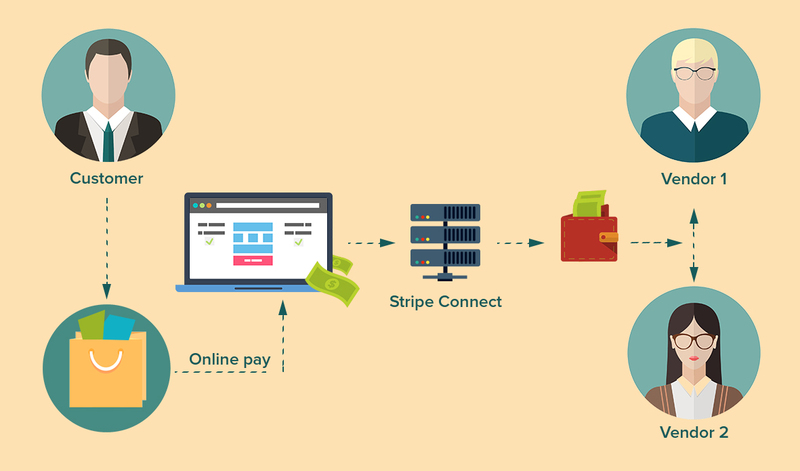 This infographic showcases the process of how the payment is processed from customer to our vendors. If you’re an individual you will receive 80% of all transactions on the platform. If you have a certain amount of transactions and build popularity we will upgrade you to a Pro Dashboard account for Free and you will then receive 90% on all transactions. We offer you a PRO Dashboard Account Free with the ability to manage your teams and organisation with full analytics. You receive 95% of all commissions. 5% is for transaction fees & processing fees.